In 2019 Under Armour run is giving athletes more. 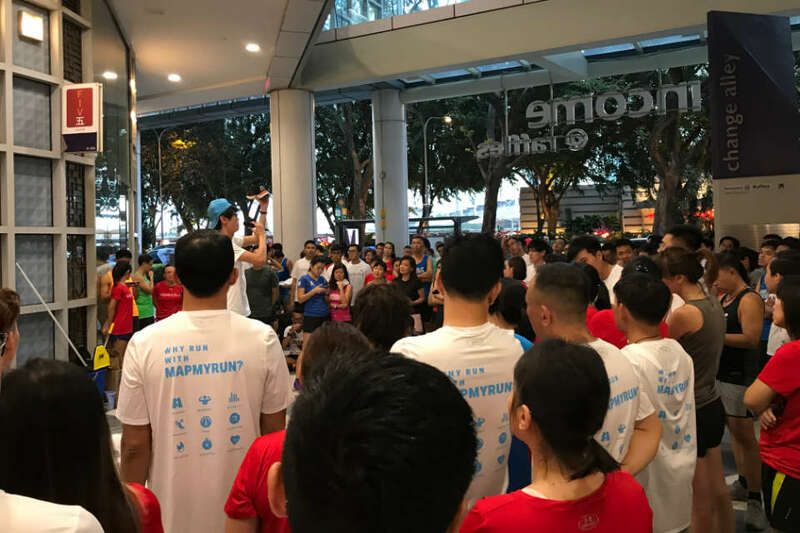 In conjunction with the official launch of Under Armour HOVR Connected Run Suite on 1st February 2019, Under Armour organised its largest collaborative run on 30th January 2019. This run featured all three of Under Armour’s Running Crews namely Superhero Runners, Running Department and Simple Runners. 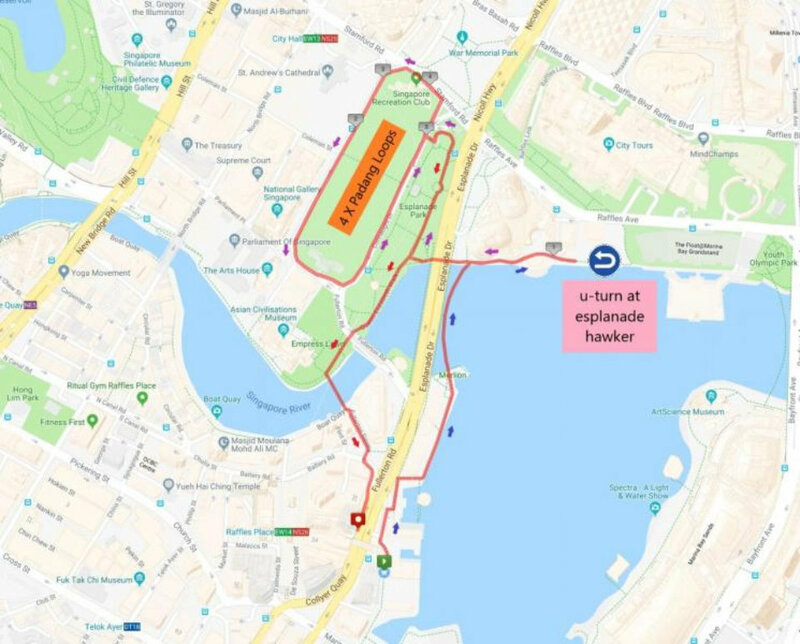 Every participant was able to participate to take part across three unique 6km routes starting from Under Armour Collyer Quay. Having the right footwear is necessary for all runners no matter if you are a casual or professional runner competing at the highest level. 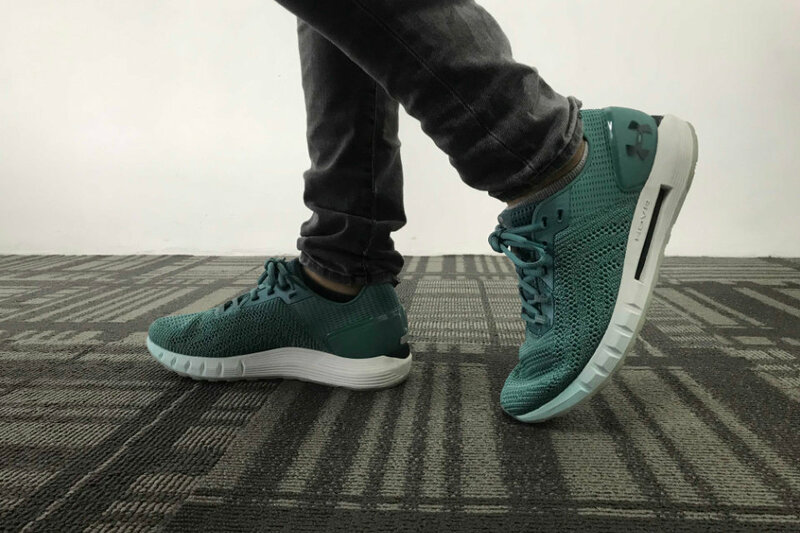 Taking care of the body is a need and Under Armour’s New Suite of UA HOVR Run Shoes are designed with that in mind. 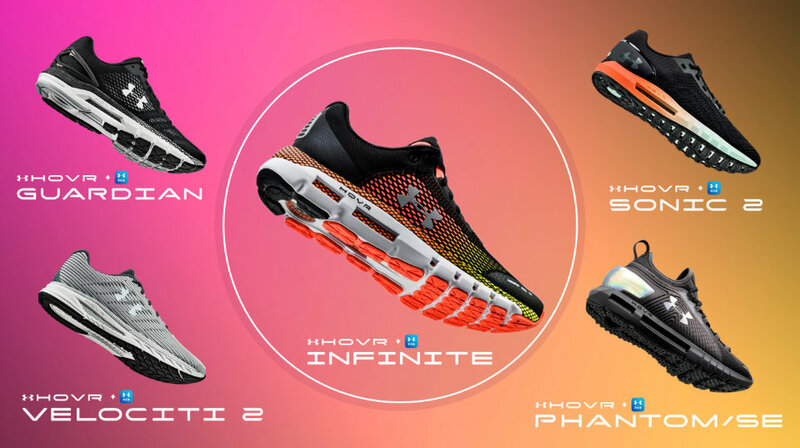 Many participants had the opportunity to run with either the HOVR Sonic 2 or HOVR Guardian, testing out the feeling of the shoes as well as trying out the UA MapMyRun app. The UA MapMyRun app allows the runner to seamlessly connect it to their shoes while unlocking access to the runner’s performance data and personalised coaching. My colleagues and I had the greatest opportunity to participate in this running event. We were able to try out the HOVR Sonic 2 while running alongside with the running crews. 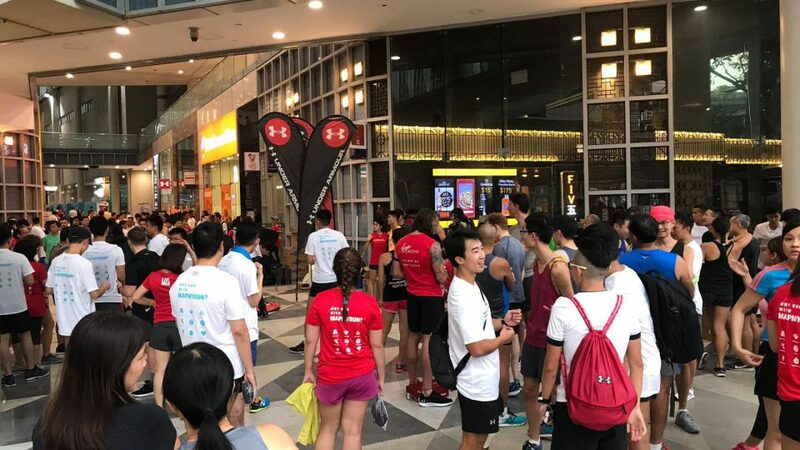 As we gathered at Under Armour Collyer Quay, there were already hundreds of runners warming up and preparing for the run. The event officially started when the emcee introduced both the HOVR Sonic 2 or HOVR Guardian up close while everyone admires it in awe. After the short introduction, it was time to start running. Everyone gathered to their respective running crews as different crews were running different routes. 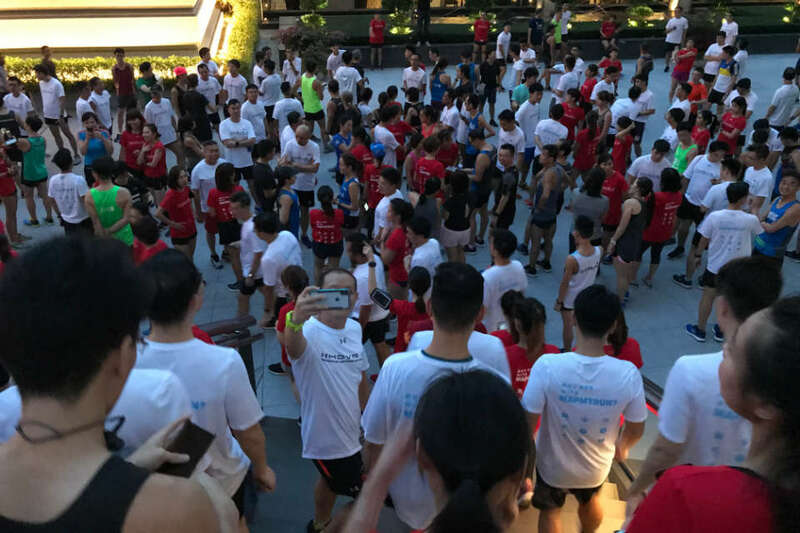 We decided to join the Superhero Runners as they were taking their run through the Padang Loops while the Running Department was taking their run along the Singapore River and Simple Runners took their run along Garden By The Bay. We first split into two different paces, 6 and 7 minutes pacing and finally, we set off. The run was held on the same day as i Light Singapore 2019 was held, therefore the running scenery was very beautiful. The running crew were all very supportive all the way until the end, no man was left behind. At the end of the run, we were all provided with refreshments from Pocari Sweat for our achievements. Hence, the conclusion of this short running event held by UA. Overall, the run was rather well organised. As mentioned above, my colleague and I were able to try out the HOVR Sonic 2 to run with. At first impression, we thought that the shoes were gorgeous looking due to the sleek looking and a good variety of colour mix, especially the gradient line of colours along the sides. Despite looking a little bulky, it is actually quite light when you put them on. The sufficient space available allows the toes to breathe easily due to the shoe wide toe box, allowing air to flow through freely. Additionally, the lightweight cushioning provided within the shoes is almost immediate, with just the right amount of traction provided feel like bouncing little every instance of the step taken. However, it can be a little slippery when touched against wet surfaces, suggesting a slight flaw in the outsole. Nonetheless, the HOVR Sonic 2 seems very suitable for most sorts of surfaces or terrains. It is really a great pair of shoes with lots of upsides and potential. Excited for upcoming future releases of the HOVR series. 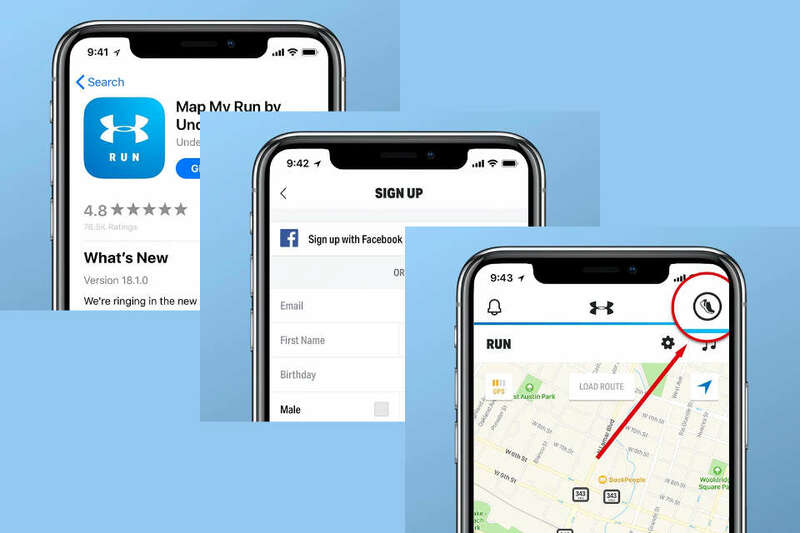 Connects to MapMyRun, where an embedded sensor tracks, analyzes and stores detailed running metrics to inform ways to improve performance and seamlessly connects to the world’s largest digital health and fitness community. Step 3: Connect your shoes by tapping the shoe icon in the upper right corner and follow the instructions to finish the setup. The app is very user friendly and the interface and navigation are easy to use and pick up. However, it is a little confusing to register the shoes with the app, especially with the presence of multiple pairs of app enabling shoes. Nevertheless, it is certainly a plus point when you do not need to bring along your bulky phone during your run. As soon as the shoes are connected, just head out for the run. With every step taken, the shoe is able to record and sense when breaking from a walk into a run. On top of that, hitting a running stride will immediately set on the recording mode with high fidelity, and when there's a stop in movement, it will stop. Finally, simply sync the data to your app and everything will be displayed within the personal profile. After syncing the data, there are statistics generated by the app that is very intuitive and helpful. It's like having a free in-depth personalised running coach to evaluate the precise progress and check historical data, allowing for better pace prediction and planning for future runs. In conclusion, reading may not be believing, but trying it out will be. Head over to your respective stores starting from 1st February 2019 and get yourself a pair of the Under Armour's HOVR Sonic 2 to test them out now.